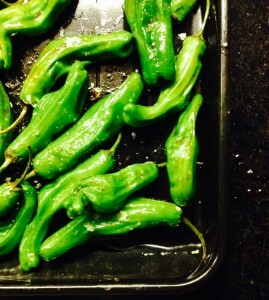 Fear not – these are very friendly, not too spicy peppers! You can handle them even if you’re a bit wimpy about hot stuff like I am. They make a great healthy and guilt-free appetizer. 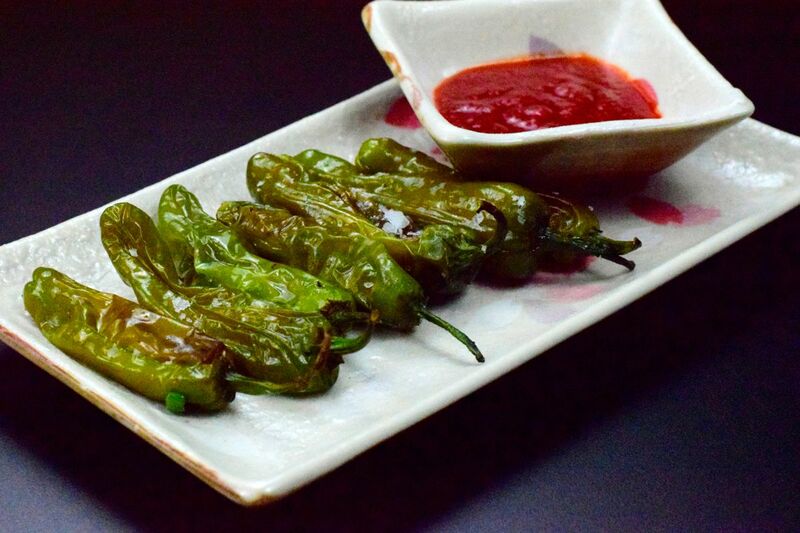 Look for shisito peppers at your local Asian market (and many mainstream markets have them now too). They are bright green and longer and skinnier than a jalapeno, with a tendency to curl a bit. Sometimes they are labeled “sweet peppers” or “curly peppers”. I usually get about 4 oz. of peppers for 2 people. Cover a broiler pan with foil. Lay the little guys in a single layer on the pan. Broil for 8-10 minutes, turning over halfway through (once you start to smell them, check ’em). You want to get a nice char on them (but not burn them, obviously). When they are done, sprinkle with a little more salt, then hold by the stem and eat them (don’t eat the stem though, it is just a convenient handle). They are great on their own or dipped in light ranch or blue cheese dressing or tzatziki (Greek yogurt sauce).